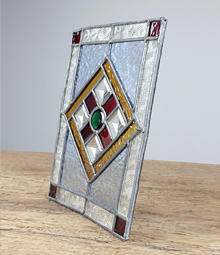 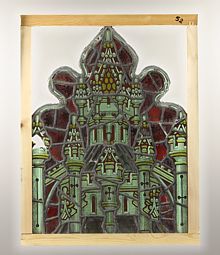 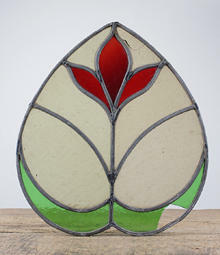 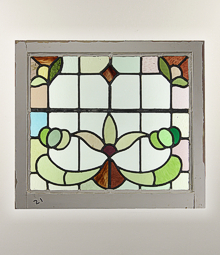 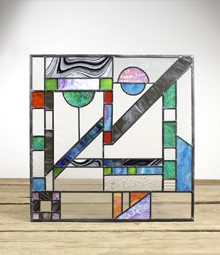 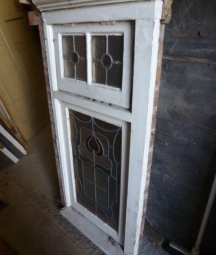 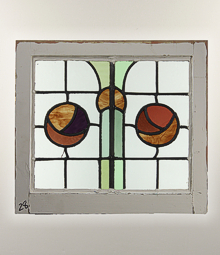 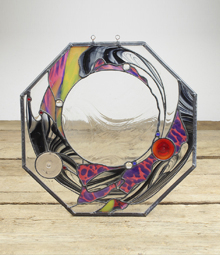 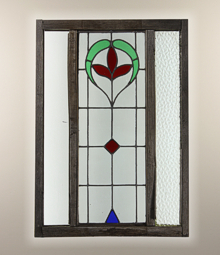 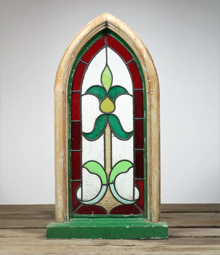 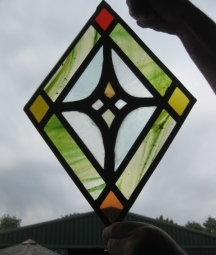 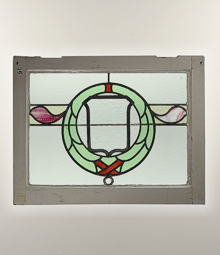 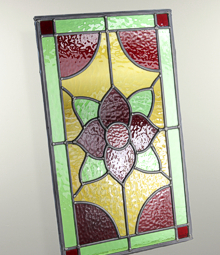 Here at English Salvage we always have a great range of stained glass available, from highly detailed pieces with a mixture of patterned and painted glass, to simpler Art Deco and more modern, bolder styled patterned glass. 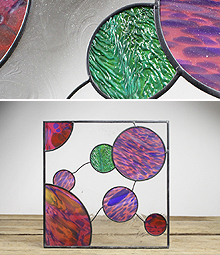 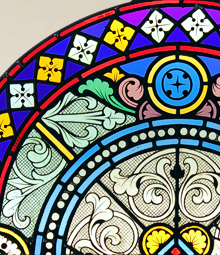 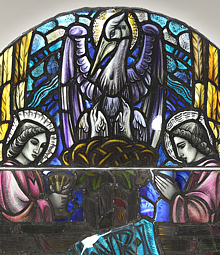 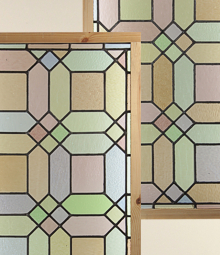 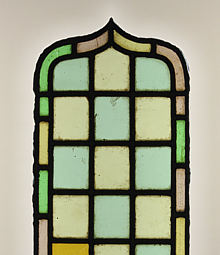 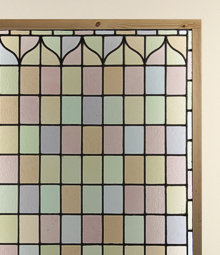 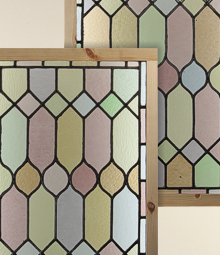 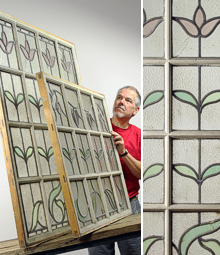 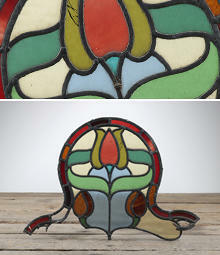 Patterned stained glass differs from painted as it is the glass itself which is coloured, with such compounds as iron oxide, rather than being painted. 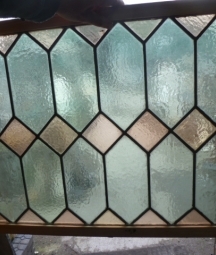 Another difference is lead tends to be used as part of the design, instead of solely being used to fix glass panes together in a uniform shape.